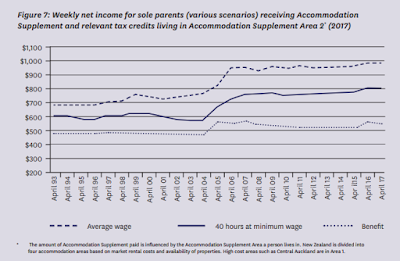 After the In Work tax credit came in the gap between being on a benefit and working for the minimum wage opened up. This has undoubtedly contributed to the fall in the number of benefit-dependent sole parents. 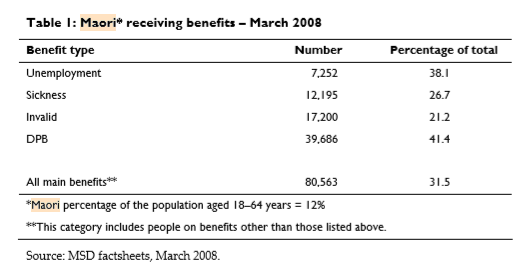 But anti-child poverty activists want the in work tax credit paid to all beneficiaries. This will be a sticky issue for the new government. Their families package (especially the payment for babies aged 0-2) will effectively close the gap anyway. Another interesting fact from the Briefing. Maori represent 15% of the population but "48 percent of Sole Parent Support recipients." 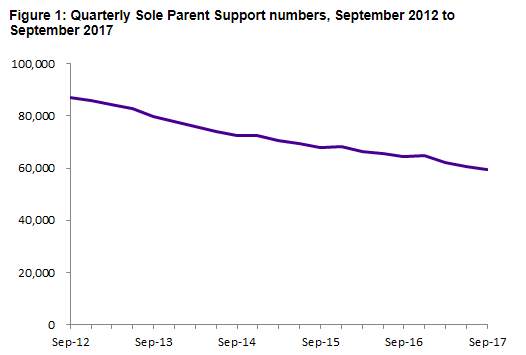 It would appear the employment status of Maori sole parents is not improving as quickly as the general population. ... it must be remembered that many are now moved onto jobseeker support as their youngest child reaches 14. There may also be some migration onto the supported living benefit positively affecting the drop. The Briefing stresses that "The proportion of clients with mental health conditions has been growing substantially over time." 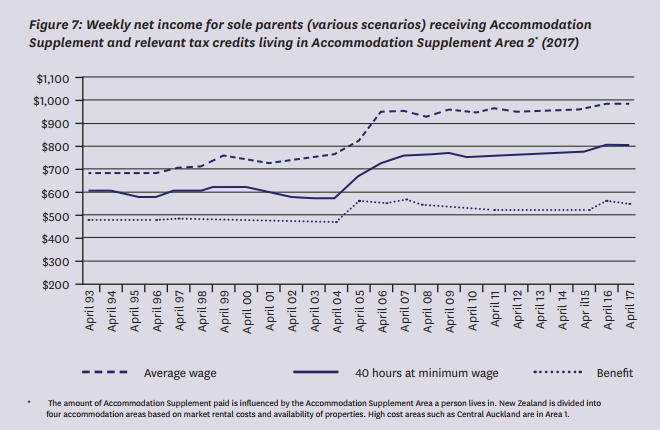 Myself and Muriel Newman explain how in this week's NZCPR lead articles. "But wait – there’s more. This topsy-turvy ‘world view’ was recently exemplified when Catriona McLennan, a well-meaning lawyer and advocate for the Child Poverty Action Group was heard extolling the generosity and kindness of Micky Savage’s original benefit system, and how New Zealand needs to return to that inclusiveness. They are out of touch with reality. But they plan to drive policy made by a government with the same problem."